Md. Mahmud Ali is working as a Consultant—Finance and Accounts of International Centre for Climate Change & Development (ICCCAD) since 2014. 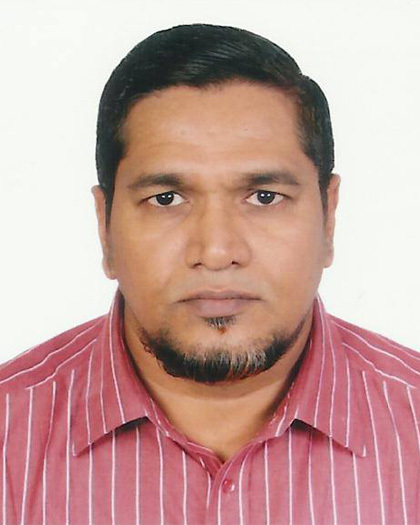 Mr. Ali is responsible for overall financial management of ICCCAD includes supervision of book keeping, prepare financial planning (budgeting), reporting to the donors and GoB authorities and financial proposal writing. Besides financial management responsibilities, Mr. Ali also does some admin and project support service like procurement, inventory management etc. Prior to this position, he worked as a Finance Manager, ARCAB Proj. at Bangladesh Centre for Advanced Studies (BCAS) , as an Accountant at Briton Universal College, London, England, as an Accounts Officer at Concern Worldwide, Dhaka and Winrock International, Dhaka, Bangladesh. Mr. Ali did M.Sc. in Finance & Accounting from London South Bank University, London, England and Part Qualified C.M.A from The Institute of Cost and Management Accountants of Bangladesh.